India will take on New Zealand on May 25 at the Oval followed by a game against Bangladesh on May 28 in Cardiff. 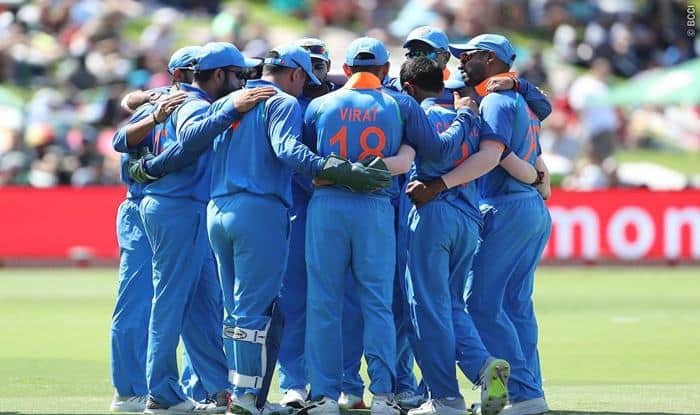 India will play New Zealand and Bangladesh in their warm-up matches leading up to the ICC ODI World Cup starting May 30 in England. All 10 competing nations will play two official warm-up fixtures ahead of the tournament, which will take place at four venues across England and Wales. All ten competing nations will play two official warm-up fixtures ahead of the tournament, which will take place at four venues across England and Wales. India will play their two warm-up matches against New Zealand and Bangladesh. Ticketing and broadcast information will be released in April. “The fixtures will be held over five days between May 24-28, and will be hosted at four of the official Tournament Venues; the Bristol County Ground, Cardiff Wales Stadium, Hampshire Bowl and The Oval,” the ICC said in a statement. “It is always a huge milestone announcing an exciting warm-up schedule for the ICC Men’s Cricket World Cup as it really highlights just how close we are to the action getting underway this summer. The warm-up fixtures will be 50-over affairs but will not carry official ODI status as teams would be able field all members of their 15-strong squads during the match. “These games provide another fantastic opportunity for fans to see world-class players at their local venue and allows the tournament to engage local schools and communities with another chance to get involved with the Cricket World Cup,” said World Cup 2019 Managing Director Steve Elworthy.